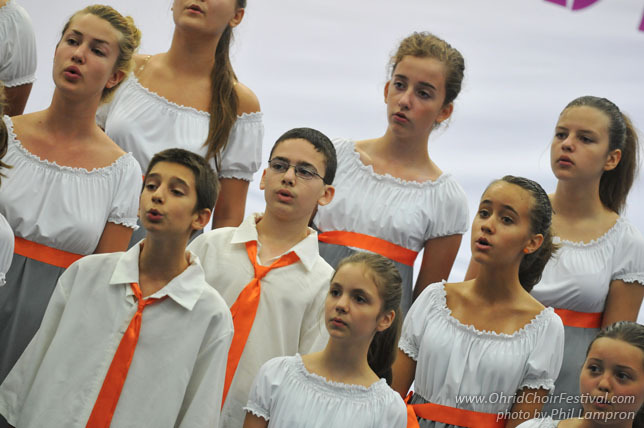 Primary school “Ratko Vukicevic” Choir comes from Nis, Serbia, a city well-known for its history, people and tradition of choral singing. 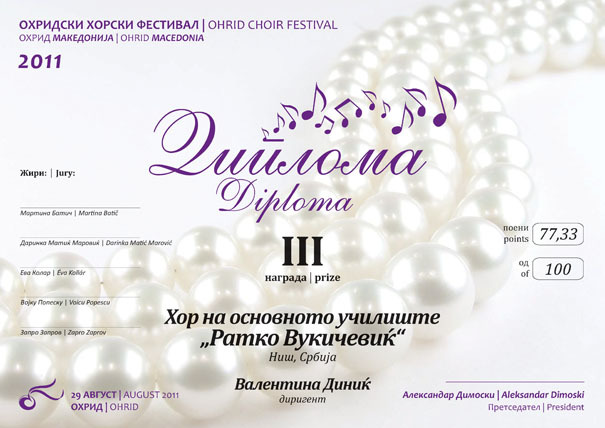 The choir “Ratko Vukicevic” started regularly participating in competitions in 1996, after music teacher Valentina Dinic joined the school. 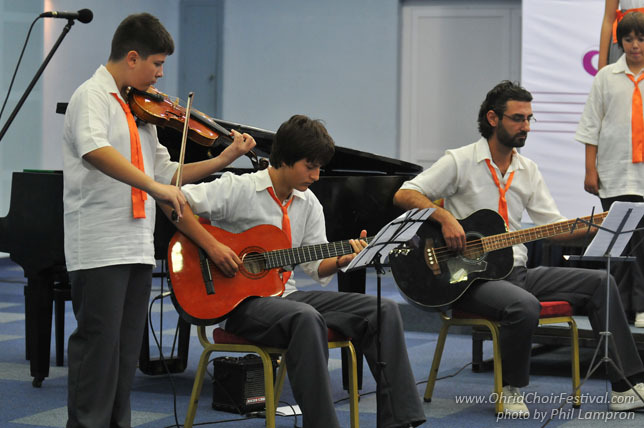 Under the leadership of Ms Valentina Dinic, the choir achieved seven first place prizes, three second and three third at the annual Choir Festival of the Republic of Serbia. 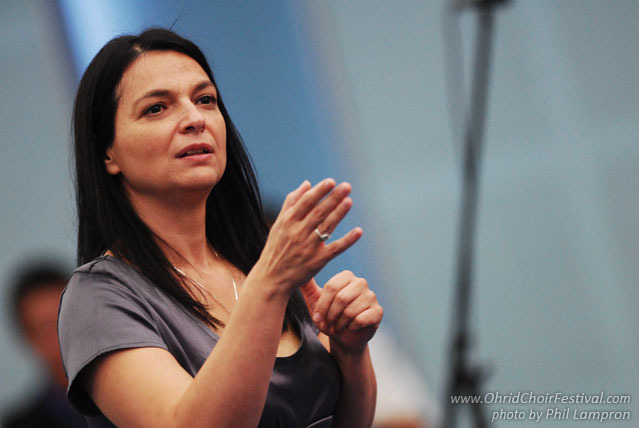 Ms Dinic, music teacher and conductor, studied and graduated in Skopje, at the Faculty of Music. Being interested in choral singing, both as a singer and as a conductor, she has been taking an active part in numerous seminars on different aspects of choral singing. The joy of singing and friendship motivates both the teacher and the students to do their best. Some of the students are still members of the choir even after finishing primary education in the school.